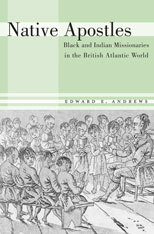 This month, Harvard University Press published Native Apostles by Edward D. Andrews (Providence College). The publisher’s description follows. As Protestantism expanded across the Atlantic world in the seventeenth and eighteenth centuries, most evangelists were not white Anglo-Americans, as scholars have long assumed, but members of the same groups that missionaries were trying to convert. Native Apostles offers one of the most significant untold stories in the history of early modern religious encounters, marshalling wide-ranging research to shed light on the crucial role of Native Americans, Africans, and black slaves in Protestant missionary work. 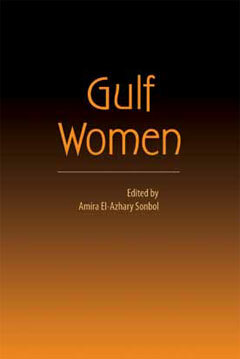 The result is a pioneering view of religion’s spread through the colonial world. From New England to the Caribbean, the Carolinas to Africa, Iroquoia to India, Protestant missions relied on long-forgotten native evangelists, who often outnumbered their white counterparts. Their ability to tap into existing networks of kinship and translate between white missionaries and potential converts made them invaluable assets and potent middlemen. Though often poor and ostracized by both whites and their own people, these diverse evangelists worked to redefine Christianity and address the challenges of slavery, dispossession, and European settlement. Far from being advocates for empire, their position as cultural intermediaries gave native apostles unique opportunities to challenge colonialism, situate indigenous peoples within a longer history of Christian brotherhood, and harness scripture to secure a place for themselves and their followers. Native Apostles shows that John Eliot, Eleazar Wheelock, and other well-known Anglo-American missionaries must now share the historical stage with the black and Indian evangelists named Hiacoomes, Good Peter, Philip Quaque, John Quamine, and many more. This month, University of South Carolina Press will publish A Cautious Enthusiasm by Samuel C. Smith (Liberty University). The publisher’s description follows. A Cautious Enthusiasm examines the religious, social, and political interplay between eighteenth-century evangelicalism and the Anglican establishment in the lowcountry South. Samuel C. Smith argues that the subjective spirituality inherent in evangelical religion was a catalyst toward political and social consensus among influential Anglican laymen. Smith finds that a close examination of the writings and actions of religion-minded South Carolinians such as Henry Laurens, Christopher Gadsden, and Anglican clergymen Robert Smith and Richard Clarke reveals the influence of evangelical zeal at the highest levels of society. Taking his study even deeper into the religious life of low country society, Smith identifies radically pietistic elements, some of which originated in the mystical writings and practices of European Roman Catholics, German Pietists, and Huguenot Calvinists. Central to this study is the recognition of Catholic mysticism’s impact on the experiential side of early evangelicalism, a subject rarely explored in historical works. A Cautious Enthusiasm provides a rare examination of Great Awakening revivalism among lowcountry Anglicans by tracing the European origins into the lowcountry South. 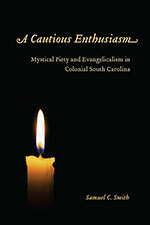 This study demonstrates how elements of mystical religiosity prodded some to associate evangelical revivalists with Catholicism and displays how subjective elements of religion contributed to a unique patriotic consensus among lowcountry Anglicans in the Revolutionary era. The position of English monarchs as supreme governors of the Church of England profoundly affected early modern politics and religion. This innovative book explores how tensions in church-state relations created by Henry VIII’s Reformation continued to influence relationships between the crown, parliament and common law during the Restoration, a distinct phase in England’s ‘long Reformation’. Debates about the powers of kings and parliaments, the treatment of Dissenters and emerging concepts of toleration were viewed through a Reformation prism where legitimacy depended on godly status. 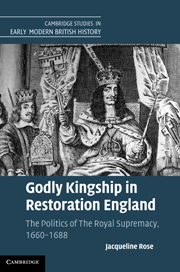 This book discusses how the institutional, legal and ideological framework of supremacy perpetuated the language of godly kingship after 1660 and how supremacy was complicated by the ambivalent Tudor legacy. It was manipulated by not only Anglicans, but also tolerant kings and intolerant parliaments, Catholics, Dissenters and radicals like Thomas Hobbes. Invented to uphold the religious and political establishments, supremacy paradoxically ended up subverting them. Bernard M. Levinson, Professor and Berman Family Chair of Jewish Studies & Hebrew Bible at the University of Minnesota Law School, has recently re-posted Reading the Bible in Nazi Germany: Gerhard von Rad’s Attempt to Reclaim the Old Testament for the Church (read the full text here). 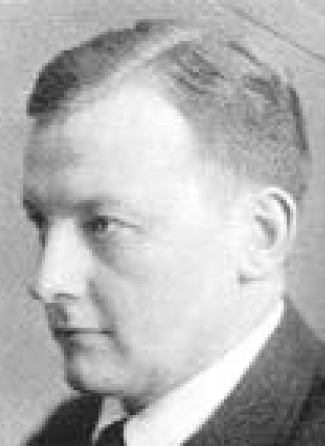 The article, which first appeared in Volume 62 of Interpretation: A Journal of Bible and Theology (2008), explores Gerhard von Rad’s (1901–71) staunch adherence to Old Testament studies despite the challenge of Nazi elements within his theological and intellectual milieu. Levinson also draws a direct connection between von Rad’ s hermeneutic and the historical circumstances under which he worked, painting a powerful portrait of religious and intellectual conviction in defiance of a totalitarian state. Levinson chronicles National Socialism’s grip on academia and—through control of university theological study—churches. In 1934, just as von Rad took a post teaching theology at the Friedrich Schiller University of Jena, the Nationalsozialistische Deutsche Arbeiterpartei (“NSDAP”) was taking universities and churches into its ideological grip. This substantial transformation coincided with—or caused—the ascendance of the Deutsche Christen (“German Christians”) and the more radically nationalist German Christian Church Movement (“KDC”) (I have already written upon the opposition of the protestant, anti-Nazification Bekennende Kirche—“Confessing Church”—here).